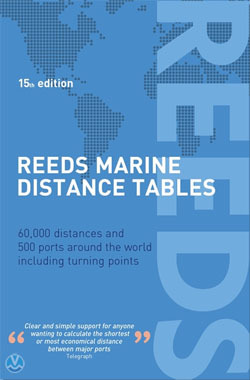 The book is divided into key 'market areas', and includes a pull-out map for area identification and easy see-at-a-glance port reference. Traffic Separation Schemes are calculated into the tables whilst the distance to any port not included can easily be determined by making an approximation from the next closest port. Useful tables of major 'turning points' around the world (such as Cape Finisterre, Cape Horn and the Dover Straits), Transatlantic distances, world time zones, and time and speed conversion tables are also included. Miranda Delmar-Morgan has sailed for most of her life, professionally for ten years. She currently sails in European waters both in a professional capacity, and cruising on her own boat. She is also a regular contributor to Yachting Monthly.